I’ve never eaten brussel sprouts when I was a kid. Did we have brussel sprouts back then? (makes me feel old now) So I don’t really understand why kids don’t love them, in fact loathe them. When I saw and tried them for the first time, I was amazed how sweet it was. Then I tried it raw because I like chewing on raw cabbage, not a good idea! Very spicy! 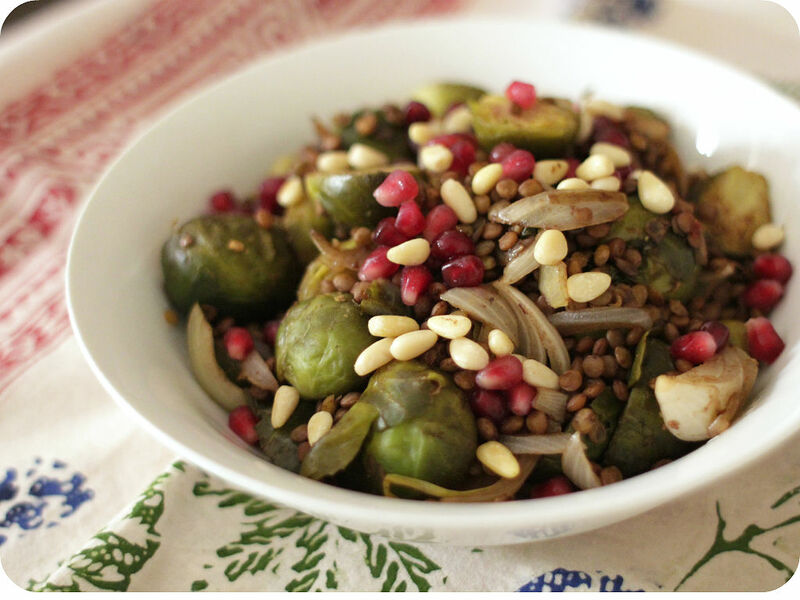 Brussel sprouts are loaded with vitamin A, folacin, potassium, calcium and fibre. It is also high in protein, but incomplete meaning they don’t provide all essential amino acids we need. So you need to pair with whole grains to make a complete meal. 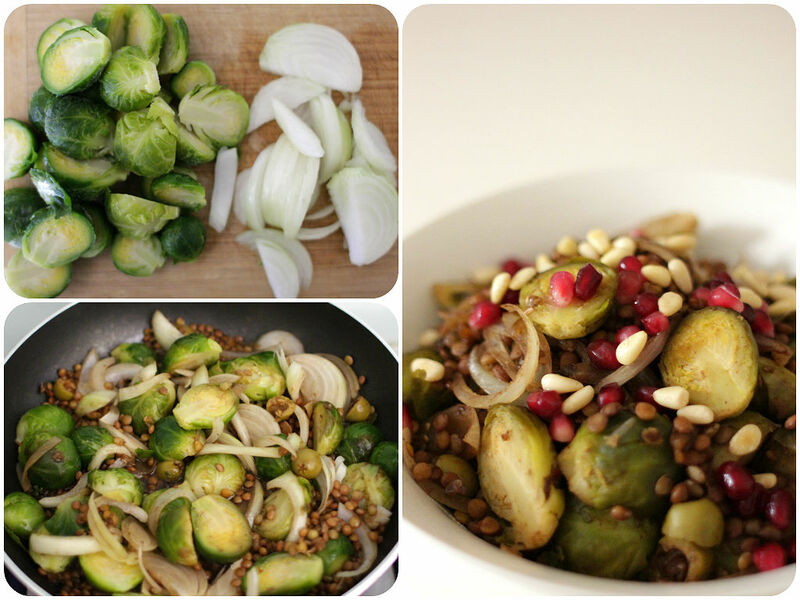 The best way of cooking brussel sprouts without losing nutrition is to saute them in a flash or roasting. Don’t boil them until they are dead >.< These little nutritious bombs like to go with something sweet like caramelised onions and fruits in this dish. Adding earthy lentils makes it more substantial good enough for a main dish. Plus I’m jazzing it up with balsamic reduction. I just love using balsamic vinegar! If you are not a fan of brussel sprouts, simply replace them with broccoli florets. Cook lentils in boiling water for 20-30 minutes. Drain and rinse. Wash brussel sprouts and cut them in half. Slice onion. Heat a pan over medium heat. Begin by caramelising brussel sprouts, garlic and onion with coconut oil. Then add cooked lentils, balsamic vinegar and water. Simmer for 10-15 minutes, stirring occasionally until cooked and the liquid is evaporated. Season with salt and pepper. Transfer to a serving plate and sprinkle pomegranate and roasted pine nuts on top. You can also use dried cranberries and almonds or pecans instead depending on what you have in your pantry.